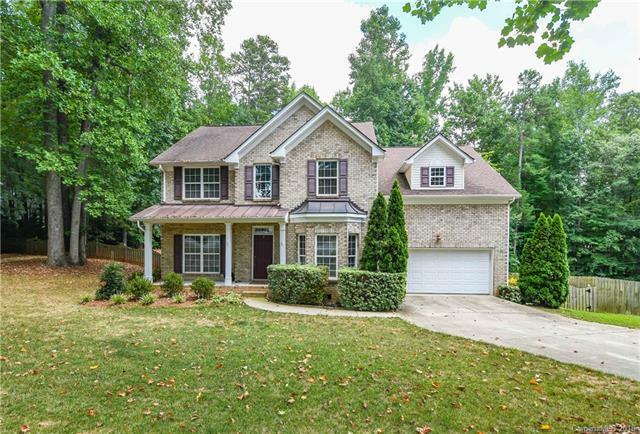 Beautiful South Charlotte home situated on a large private lot. Open interior layout offering easy flow and spacious feel - the hardwoods will take your breath away! Front porch offers great views of the large front yard and deck off the back overlooks huge backyard, fenced all around, a landscaper's dream! From the mud room to the open layout to the huge bonus room upstairs, the home offers plenty of storage and flex space for a very comfortable living environment. Entertain in the over sized bonus room with built-ins, the large open kitchen and family room, and/or deck/huge backyard. Home has been upgraded throughout - hardwoods, granite, stainless steel appliances! Well cared for, along with new ac in 2018. Come view today! Sold by Opendoor Brokerage Llc.